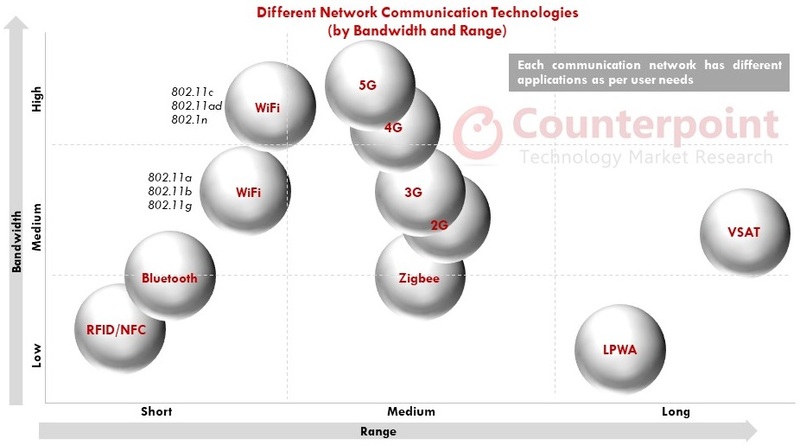 Most machine-to-machine (M2M) connections over the last decade have been using 2G or 2.5G connectivity, which was not cost-effective, primarily due to high power consumption, modem cost, high bandwidth, etc. Meanwhile, the industry also transitioned from M2M to IoT creating a different set of connectivity needs. Initially, non-cellular protocols – Sigfox, LoRa and others – pitched in to fill this space, however, network operators soon realized the untapped potential and jumped into the market with their solutions. 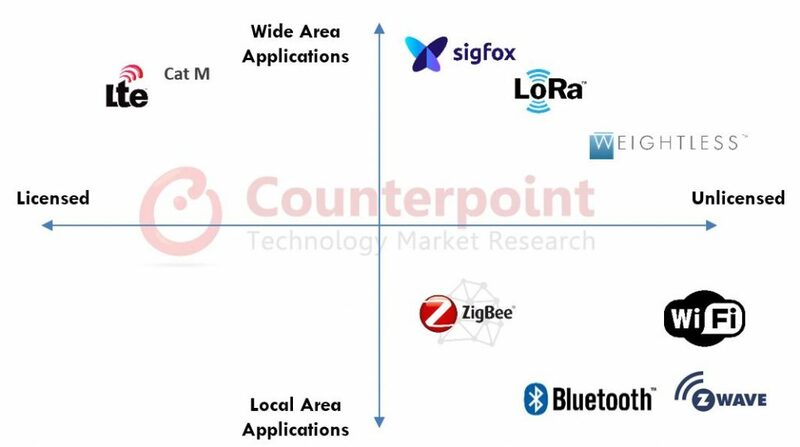 At present, there is an array of different technologies competing within the LPWA space, including non-cellular protocols such as Sigfox, LoRa, Weightless, RPMA, and cellular protocols such as EC-GSM, LTE-M and NB-IoT. While the business model and technologies are different, the target markets are similar with both technologies suitable for different IoT applications (with a subtle overlap of suitability). This means there is a subtle trade-off to be made across the various compromises that each technology offers. Among non-cellular LPWANs, Sigfox and LoRa have been at the forefront, while other have struggled to build scale, despite some technological advantages. Between Sigfox and LoRa, the most important underlying difference is the business model. Sigfox is following a network operator model, with open endpoint technology. Silicon manufacturers can partner to manufacture the required radio hardware. Sigfox earns by partnering with network operators, who pay royalties for reselling its technology stack to enterprises. In other words, Sigfox gives away the hardware enablers but sells the software/network as a service. In some cases, the company deploys the network and acts as the network operator. So far, key manufacturers like STMicroelectronics, Atmel, and Texas Instruments (TI) have partnered with Sigfox. However, both the competing communication networks offer some advantages over each other. For instance, Sigfox is not available everywhere, but you can create your own LoRA network anywhere. However, using LoRa adds an extra layer of complexity to manage your own IoT network. Other than above, both non-cellular communication protocols address the same market but different use-cases with some overlap. Firstly, there is no LPWAN war. Traditionally, cellular LPWANs consumed too much power, and they’re more optimized for high bandwidths. Battery consumption is very critical in IoT applications, as sensors once fit into systems, need to work for 8+ years. Also, their modem and service is more expensive. This becomes a major advantage for non-cellular LPWANs offerings. Both LTE-M and NB-IoT were defined by the 3GPP in Release 13, for low bandwidth IoT applications. There are variety of similarities among the both technologies, however, the choice among the two largely depends on two factors – data consumption and latency. LTE-M supports all LPWA use cases. It is more suitable for mission critical applications where real-time need communication is a priority, such as voice, emergency data (in healthcare) and precision tracking. However, in case of NB-IoT, it is more suitable for simpler static sensor type applications. This means that it may not be cost-effective to use LTE-M for simpler static applications where latency is acceptable and minimal communication is required. Due to the reasons cited above, a higher volume of applications in agriculture, utilities, and smart city are expected to use NB-IoT over LTE-M, which converts to higher number of connections. This is the reason why more than 40 operators have already deployed NB-IoT network across different countries. Also, the Chinese government has been very supportive of NB-IoT to foster the IoT ecosystem within China. In such a case, if a Chinese hardware firm becomes more oriented towards NB-IoT hardware, it is likely that NB-IoT will become a default connectivity option in LTE-M modules as well. Recently, AT&T also announced NB-IoT network in the US, citing rising demand from enterprise customers. 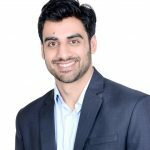 The bottom-line is that the IoT market has enough opportunity for all forms of cellular and non-cellular LPWANs. A few years ago, cellular LPWANs lagged behind the non-cellular LPWANs, which created an opportunity for non-cellular propriety technologies such as Sigfox, LoRa, Weightless, Ingenu, etc., which originated from EU and spread to other parts of the world. However, in the recent past, cellular LPWANs have gained ground, with a push from network operators such as Vodafone and China Mobile and spearheaded by Huawei. So much so that some analysts have written-off non-cellular LPWANs. But the market is yet to fully realize the potential of different connectivity technologies. 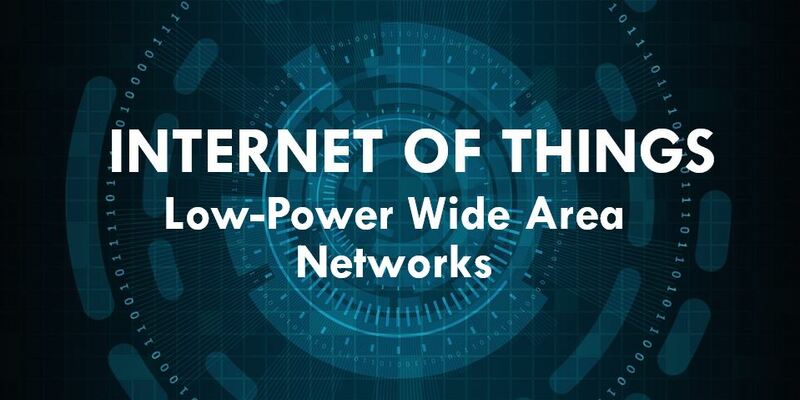 Non-cellular enjoys distinct advantages over cellular; they offer lower power, low bandwidth and low-cost solutions – which is right for a variety of IoT applications. Nevertheless, the scale of cellular LPWA deployments is expected to be much larger than non-cellular LPWANs. But each technology will create their own space within the market as enterprises move ahead in their learning curve.